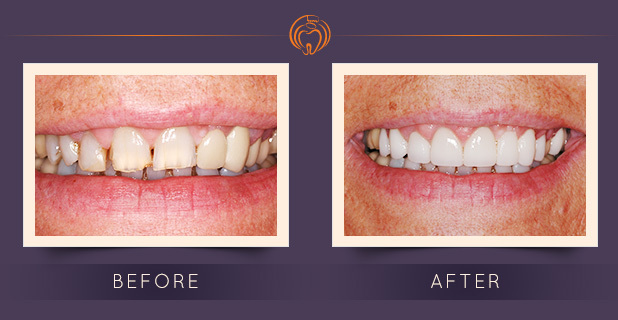 Are Veneers a Good Choice for You? 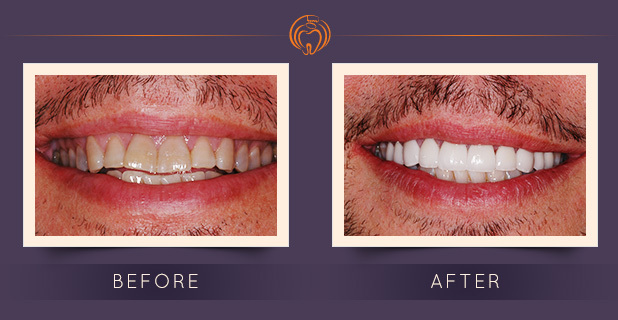 If you’d like to change your smile in a specific way or just want a whiter smile – veneers could be the best way to accomplish your desires! 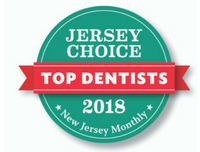 What Can I Expect at Old Bridge Dental®? 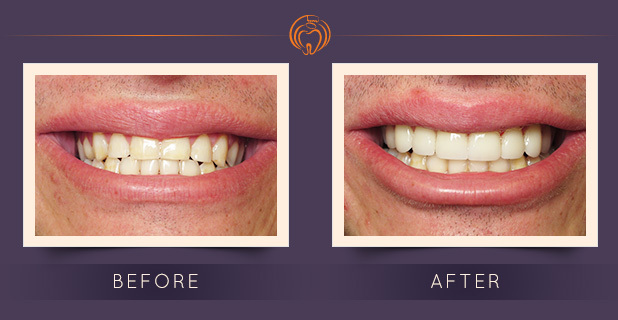 Dr. Griggs believes that before he performs work on a patient – no matter how simple the case – that he should do some diagnostic work, take impressions of your teeth, send it to the lab, and design your case on a model first. 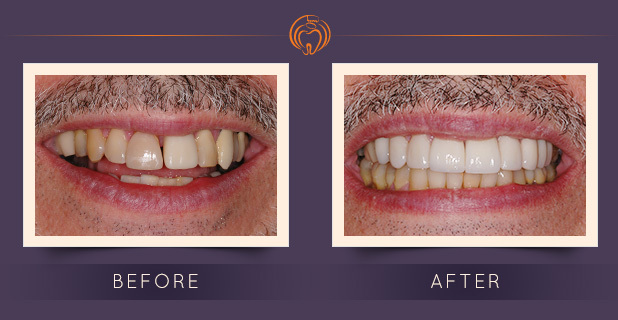 “I would rather run into difficulty on the model than in the patient’s mouth,” he says. 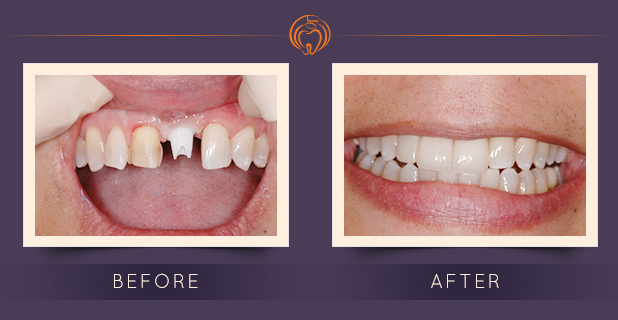 Sometimes from this point, we can move straight to prepping your teeth. 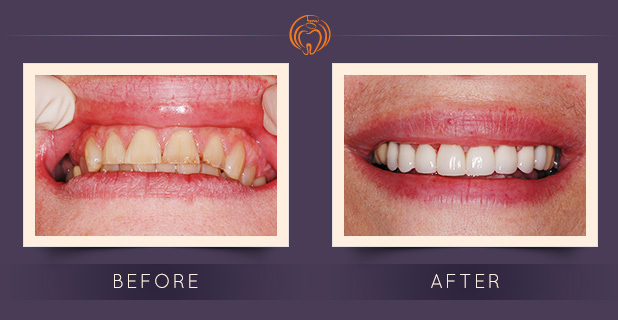 If not, Dr. Griggs will discuss your options and decide how to best proceed to achieve the smile of your dreams. 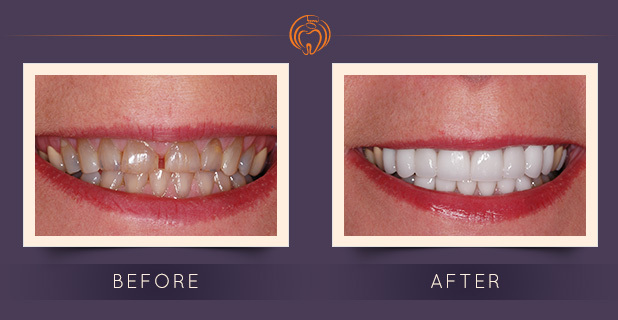 Once prep work begins on your teeth, you can expect to walk out with temporary veneers on the same day. 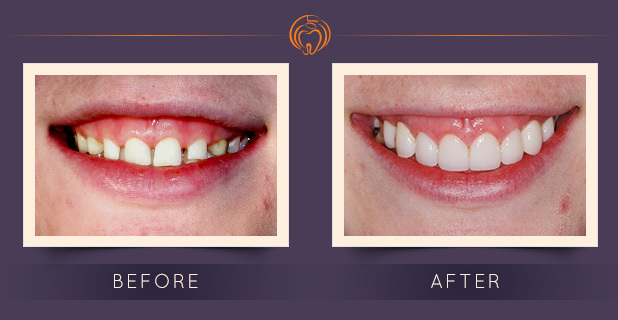 At this point, your smile is 80% of the way there! And you will look amazing when you walk out the door. 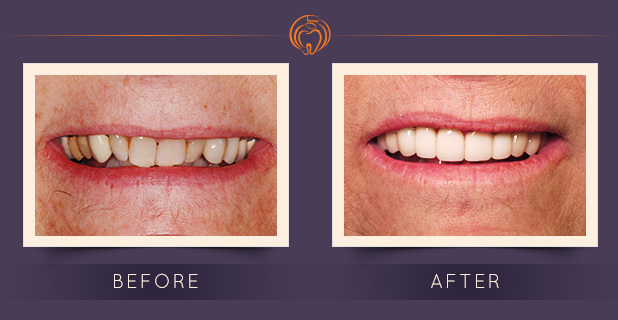 How Long Will My Veneers Take? 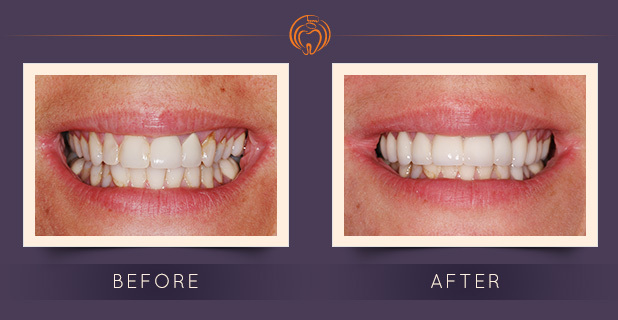 The prepping process can take up to 3 hours. This time in the chair is worth the wait! 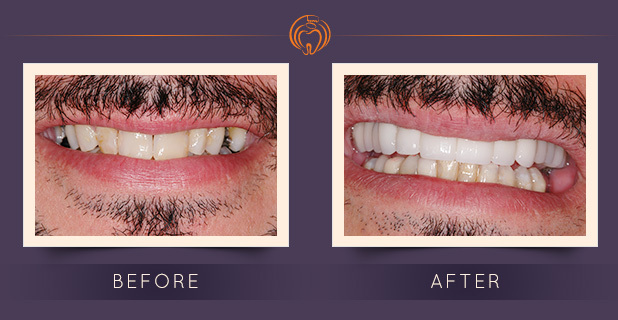 Afterwards, you will go home with a fabulous looking temporary veneer and return in about 2 weeks when your veneer plate arrives. 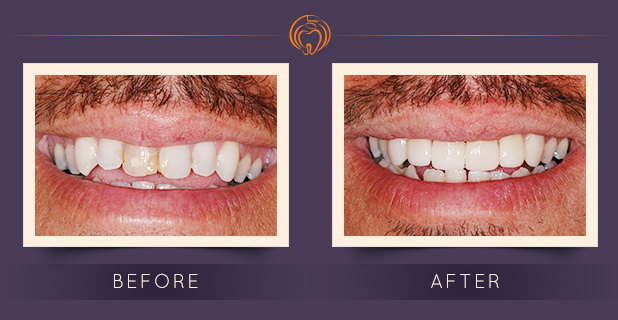 Veneers typically run around $1,520 per tooth but insurance can sometimes cover this cost. 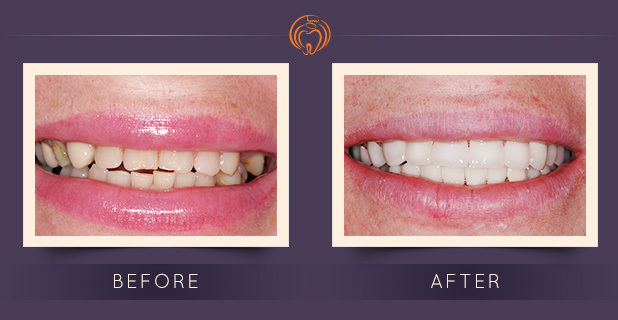 Ask us about our “Buy 3 Veneers, Get One Free” offer! 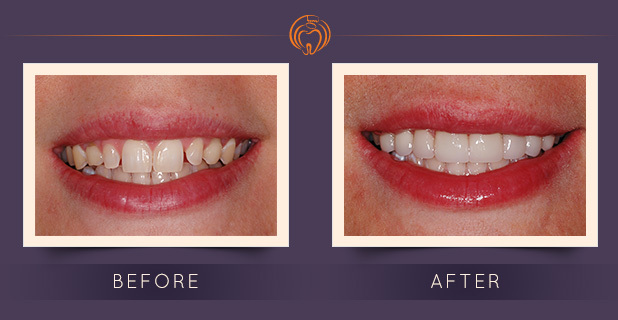 Call our Old Bridge office to find out if you are a candidate for veneers and learn about current specials and pricing.